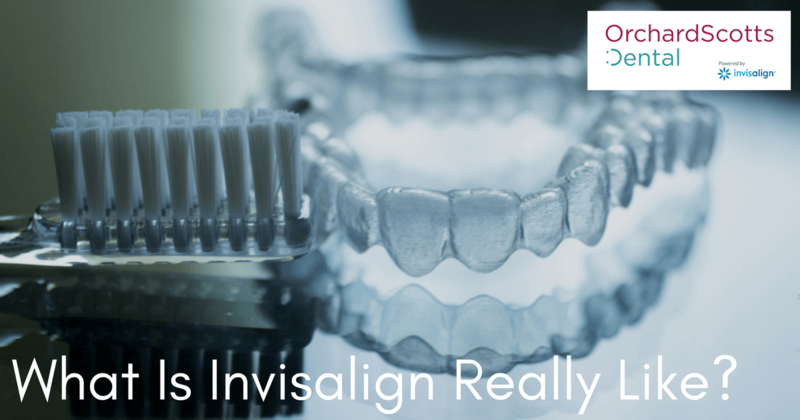 What is it like to have Invisalign? What do the trays feel like, and how do they affect your everyday life? Kate Wills, a contributor to Grazia Daily, shared her experience with Invisalign in a recent article. For users of Invisalign in Singapore, the day-to-day effect of Invisalign is very similar. Find out what Kate Wills experienced during her smile makeover. Like many others of the generation before Invisalign, Wills suffered through the metal bracket and wire braces for years as a teenager. She hated how she looked with braces, how the food stuck in the brackets, and how others teased her. After the braces were taken off, she didn’t wear her retainer regularly, so her teeth slipped back into their old, crooked ways. Years afterward, shortly before turning 30, Kate realised that she hardly even smiled with her teeth showing, especially for photos. She disliked her teeth, and she would rather hide them. She’s not alone; about 81% of British citizens express dissatisfaction with their teeth. Finally, at age 30, Kate went to a dentist and began Invisalign treatment. For the first 24 hours after she put in her first Invisalign tray, Kate felt the pain of her teeth being moved. It was extremely odd to have the plastic trays in her mouth, and she found it difficult to talk clearly with them in at first. However, she pushed through those initial hours of discomfort, and her mouth began to adjust. She got used to the feel of the trays in her mouth; in fact, the time came when she barely noticed them at all. The pain subsided, and although it returned with every new tray, it was never as bad as the first time. Kate had to carry floss, a toothbrush, and toothpaste with her everywhere, because every time she ate or drank something other than water, she had to clean her teeth. Putting an Invisalign tray back in with dirty teeth is a great way to stain the tray and cause damage to the teeth. People using Invisalign in Singapore or anywhere else in the world have to take their oral hygiene seriously during the treatment. Kate wasn’t sure how her friends would react. Some of them claimed they liked her original teeth and were sad that her crooked smile would be changing. Her boyfriend complained a little, but he appreciated the fact that the trays could be taken out for kissing, unlike traditional braces. The majority of Kate’s friends were supportive, and some even asked about the Invisalign cost, saying that they might want to pursue a smile makeover, too. Ultimately, Kate was thrilled with the success of her Invisalign treatment. “When you notice that your teeth have started to move… it’s a brilliant moment,” she says. “It’s all worth it.” There’s no better time than the present to start your own journey with one of the best Invisalign providers in Singapore— Orchard Scotts Dental. Contact our office today to set up a consultation and take your first steps towards a beautiful smile.